Bill is the owner of Kings Ningaloo Reef Tours and Captain of the Magellan. With over 40 years experience at sea you are in safe hands with Bill at the wheel. There is not much that Bill hasn’t seen on and in the water but you’ll still find him enthusiastic as ever wherever he locates a Whale shark, a whale or any marine life in the water. From a career as a Cray Fisherman to Commercial Tourism Operator, Bill is happiest on the water. 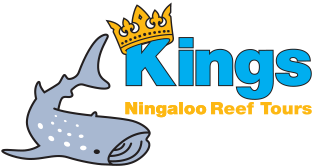 He fell in love with Ningaloo when he leased his boat and worked for then owners of the company, the King Family back in 2008. He loved it so much he bought the business and has been based here ever since. You’ll find Dane on board as either your Skipper or Deckhand for the day. Moving to Coral Bay in 2008, Dane comes from a long line of Skippers with all but one member of his large family qualified to drive a boat. In his time on the water Dane has worked in both the Commercial and Charter industry and done everything from working on Whale shark boats, Manta Ray Tour vessels ,Glass Bottom boats, Fishing Boats ,Liveaboards and Scientific research. So there is not much of the Ningaloo coastline that he hasn’t explored nor is there an animal that he cannot find for you. Dane is our boats good luck charm as he often finds Whale sharks without the use of our spotter plane. Zoe is our qualified Marine Biologist and head Interaction Guide. This pocket rocket can also be found behind the wheel of the bus that will pick you up in the morning. Zoe has been with us for 5 seasons now and there is never a day that she doesn’t have a smile on her face. Her joy and enthusiasm is infectious and you’re bound to have a great day with Zoe as your guide. Zoe has been all over the world exploring her love of the ocean and even worked on a research team studying Orcas. Her latest overseas trip was to Norway to swim with them, lucky girl. This is one very talented woman. She is a qualified Marine Biologist, our Underwater Photographer, Interaction Guide and Bus Driver all rolled into one. Jess regularly works with Ecocean on their research projects and is happy to educate anyone about Whale shark conservation. Most commonly you’ll find Jess at the other end of the camera lens. She will be the one to look out for when you’re in position for your perfect Whale shark selfie! Alanah is one of our in water Interaction Guides and spends her time between Ningaloo and the east coast. Her energy is not only infectious but never ending. This is Alanah’s third season with us, she loves it so much. The first thing you will notice about Alanah and the one image that will stay with you is her beaming smile. She greets everyone with this gorgeous smile even early in the morning. In her spare time Alanah is a keen drone pilot so be prepared to see her out and about, inspired by our environment, capturing our unique landscapes. This mermaid comes to us from across the ditch. Kelsi is a qualified dive master so if you are really lucky you may have her guide you through your first Whale shark interaction then the following day take you for a dive on the Navy Pier. We just can’t keep her out of the water. This is Kelsi’s second season with us and we think she’s here to stay, sorry New Zealand, we’ve claimed her.